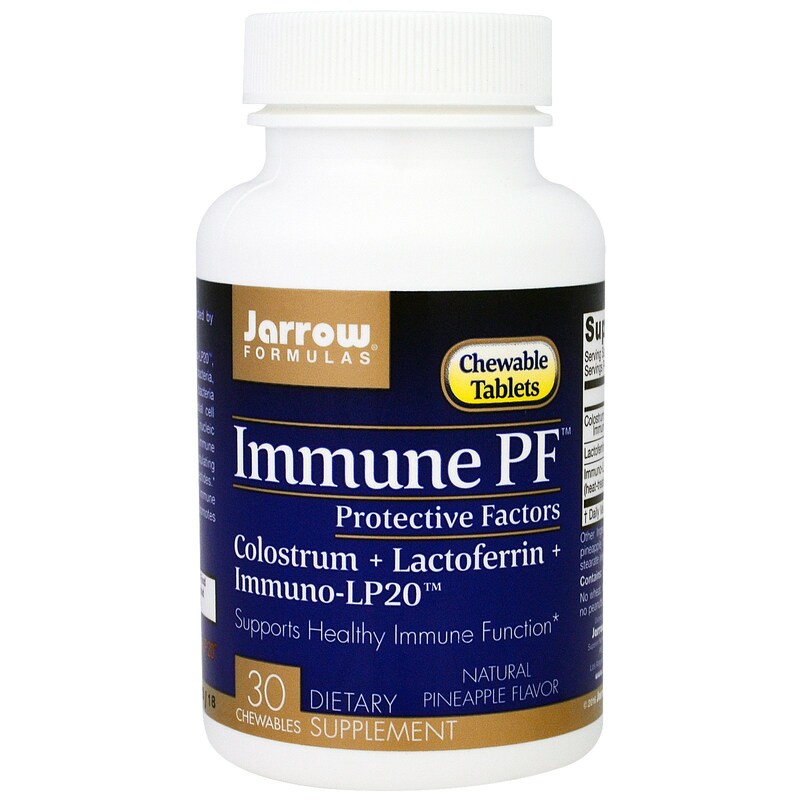 Jarrow Formulas Immune PF contains Immuno-LP20, a clinically studied, heat- treated probiotic bacteria. L. plantarum, which is a type of lactic acid bacteria often used in fermented foods. The microbial cell fragments, such as polysaccharides and nucleic acids in L. plantarum cells, support healthy immune function. 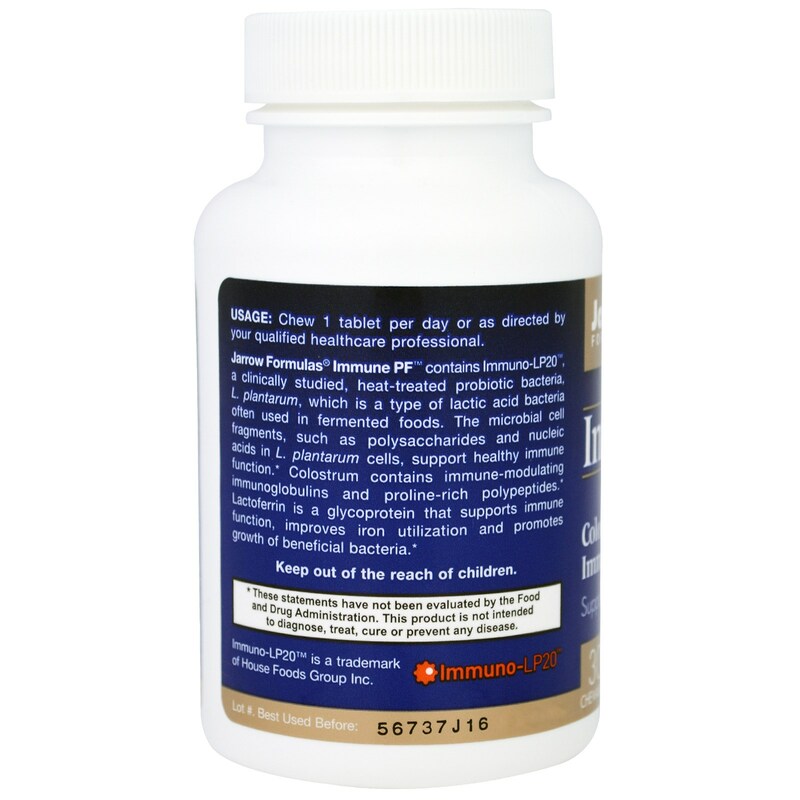 Colostrum contains immune-modulating immunoglobulins and proline-rich polypeptides. 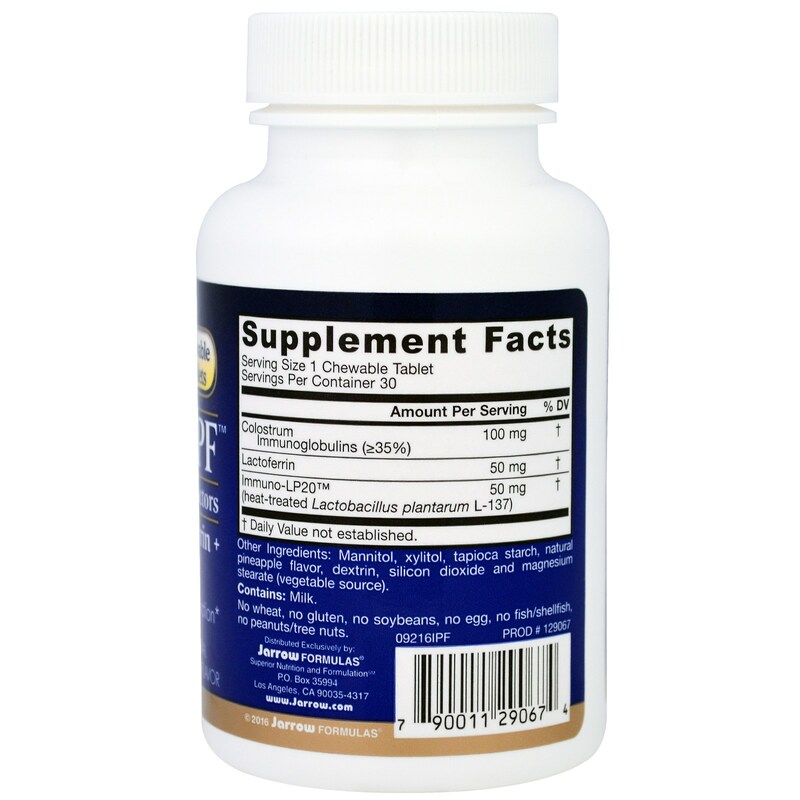 Lactoferrin is a glycoprotein that supports immune function, improves iron utilization and promotes growth of beneficial bacteria. Chew 1 tablet per day or as directed by your qualified healthcare professional. Mannitol, xylitol, tapioca starch, natural pineapple flavor, dextrin, silicon dioxide and magnesium stearate (vegetable source).